You are spoiled for choice when deciding where to eat in Pattaya, with hundreds of restaurants and thousands of independent food stalls. All of which offering different cuisines from around the world. Whether you are looking for a quick bite or are a serious foodie then Pattaya will surely be able to cater for your needs. Food forms a massive part of the Thai culture and this is evident by the huge selection of restaurants catering to Thais, but if your after something different there are also many choices. With such a vast array of restaurants and food stalls, prices naturally vary as well. From a quick 35 baht ($1) stir fry right the way up to 5 star international hotel prices, budget will be a huge consideration when deciding where to eat in Pattaya. Deciding what to eat in Pattaya is a chore in itself. You might end up eating some authentic Thai and Asian food with the locals on the side of a Soi, trying a selection of locally caught seafood sitting on the beach, enjoying a Indian curry, or eating some western food at one of the many international restaurants. You could probably have a different food agenda every day and still not repeat yourself in a year. Below is a snippet of the foodie scene to try and help you decide where to eat in Pattaya and what to eat in Pattaya. There are many factors to consider when deciding where to eat in Pattaya. Location, cuisine, ambiance and budget will be the main considerations. 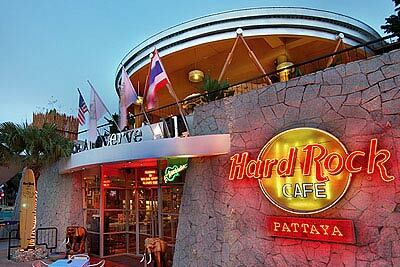 With such an array of nationalities now calling Pattaya home, and millions of visitors flocking here every year, the restaurant scene has exploded to cater for all requirements. If your wanting to experience the local cuisine, you have many choices. For those on a budget or are short of time then you will find food stalls about every 10 meters or so along any major road or soi. Although many visitors may be a little apprehensive about eating at the food stalls, you really have nothing to worry about. Just find a stall with others eating at it and this is usually a good indication of the quality. 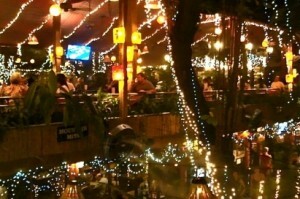 The next rung on the budget ladder when deciding where to eat in Pattaya is the local Thai focused restaurants. These are independently run family business’s and don’t offer much in terms of luxury surroundings, but if you want real, good quality authentic Thai food then this is where to eat in Pattaya. For those want a more special meal then “Cabbages and Condoms” in Pratumnak is one of the best of Thai restaurants in Pattaya. Cabbages and Condoms is a charity as well as a restaurant and the profits go to helping young poor Thai girls with family planning and health issues. They offer a vast array of dishes to choose from and the staff are more than willing to guide you through the menu. The setting for cabbages and condoms is sublime, set on top of a private section of Pratumnak beach, the atmosphere is romantically lit by candle, fairy lights and the reflection of the moon glistening of the calm bay water. If you looking for some locally caught fresh seafood, you are again facing a vast choice when deciding where to eat in Pattaya. Wherever you choose your are likely to end up having a fantastic meal. If you are relaxing on the beach in either Pattaya or Jomtien then you will be able to grab some freshly cooked shell fish as a snack. If your after a little more than a snack then head to one of the beach side restaurants all of which offer seafood that has most likely been caught and cooked within 24 hrs. If your thinking of eating seafood in Pattaya in the evening then there are loads of restaurants along beach road, walking street and Jomtien beach road. 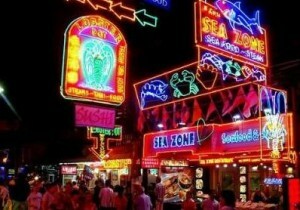 A lot of the big seafood restaurants along walking street cater mainly for tourists. These large open air restaurants offer a choice of fresh seafood that you pick from the market style shop at the front, then cook and serve it to you at the back whilst you enjoy the views of Pattaya bay. Another style of restaurant to consider is one of the large Thai focused seafood restaurants, here you can enjoy the same quality fresh seafood but with a Thai flavor. 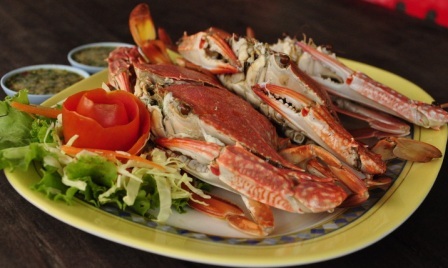 The best of these is probably the Blue Crab at the very southern end of Jomtien beach road. This restaurant overlooks the bay and has around 100 tables both inside the restaurant and over the water. No matter what night of the week you visit you will most likely wait up to 30 mins for a table to become free. This shouldn’t put you off as this is a reassurance as to the restaurants quality. When deciding where to eat in Pattaya you will be faced with the possibility of eating cuisine from all corners of the globe. If you decide on international cuisine there are choices to suit all budgets. Similar to the food stalls offering Thai food, many entrepreneurial Thai’s have started offering western food from the side of the street, Pizza, Pasta, fish and chips and even Kebabs can now be found on the side of most major soi’s. 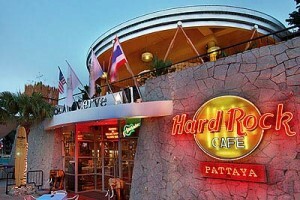 No matter where to eat in Pattaya you decide, the choice of international cuisine is immense. Lots of expats from countless countries have opened restaurants offering a little slice of whichever corner of the globe they came from. As well as the expat cafes and restaurants, many of the big international hotels have restaurants offering 5 star western food to non residents. As well as the many usual chains of franchise restaurants such as MacDonald’s, Burger king, Pizza Hut etc. Don’t expect Thai value when eating quality western food in Pattaya. A lot of ingredients that make the food taste like back home have to be imported and this obviously raises the restaurants overheads. Expect to pay between 250-500 Baht for a half decent western meal. If you choose one of the big hotels for your meal you will be paying prices similar to back home as well.